Escondido, CA – October 26, 2017: This year marks CILS’ 50th year of legal services in California Indian Country. 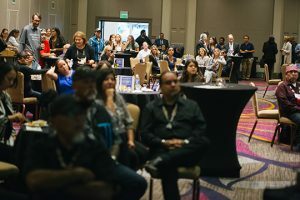 Since its founding, CILS has taken on major issues impacting tribal sovereignty such as restoring lands to trust, quantifying tribes’ reserved water rights, obtaining equitable federal funding for California tribes, litigating discrimination and civil rights and fortifying tribal governments. 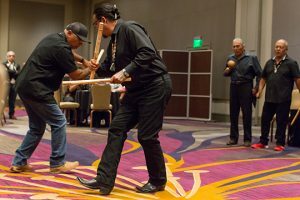 During the last five decades CILS has also tackled tribal termination, Native prisoners’ religious rights, and renegotiating tribal gaming compacts. CILS grew out for the California Rural Legal Assistance legal aid program that focused efforts on all rural communities amidst the political and social movements of the 1960s. Recognizing the uniquely complex legal issues facing Native American communities in California, attorney George Duke and a young Hoopa activist named David Risling began our story with the incorporation of CILS in 1967. 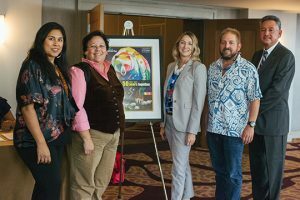 CILS continues to grow with tribal communities in California and serves them through four offices strategically located in Bishop, Escondido, Eureka, and Sacramento. 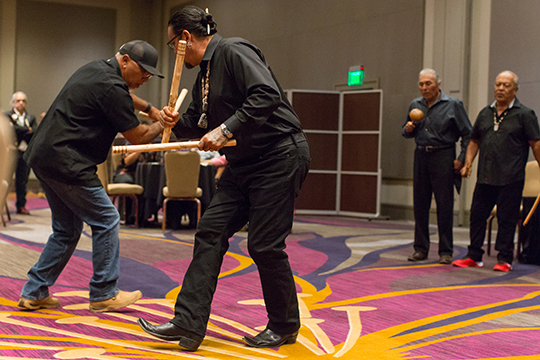 Protecting tribal communities requires constant vigilance. CILS actively serves clients and handles cases in all fifty-eight California counties. The organization is guided by a Board of Trustees comprised of tribal and community leaders, appointees of the State Bar of California, and representatives of the client-eligible population. CILS’s 50th anniversary coincided with another special occasion, the observance of California Native American Day turning fifty, which was observed on Friday, September 22, 2017. 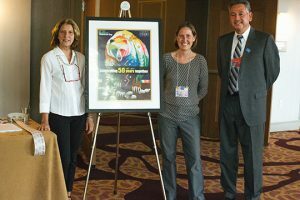 In honor of our joint anniversaries, CILS and CNAD commissioned a poster to commemorate this historic double milestone. 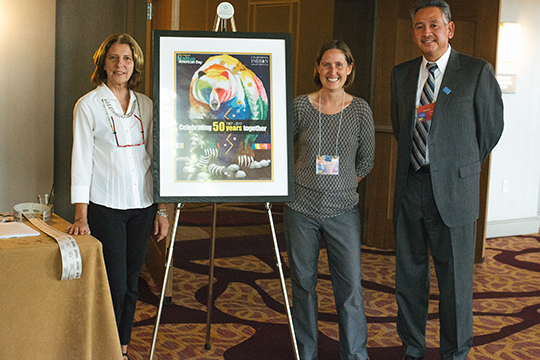 The poster featured a colorful bear created by award-winning artist John Balloue. These posters were handed out to all the attendees at CNAD. 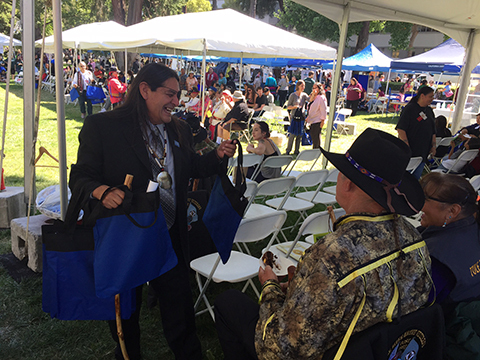 To honor the elders and tribal leaders participating in the festivities, CILS made gift bags that included posters, pins, and the history of CILS. The bags were handed out by members of the CILS Board of Trustees and its Executive Director, Dorothy Alther.